Minister for Finance Paschal Donohoe has said Apple has deposited in full the €13.1 billion owed in disputed taxes into an escrow account set up by the Government. The European Commission ruled in August 2016 that Apple had received unfair tax incentives from Ireland. Apple deposited a total of €14.3 billion into the account, which represents the full recovery €13.1 billion plus EU interest of €1.2 billion. The first payment of €1.5 billion was paid earlier this year and has followed with further payments in the second and third quarters. 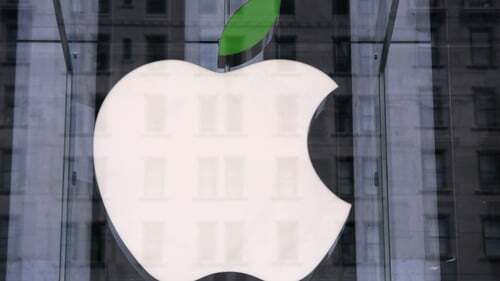 Amundi, BlackRock Investment Management and Goldman Sachs Asset Management will manage the more than €13 billion in disputed taxes Brussels has ordered the Government to collect from Apple. Paschal Donohoe said the investment managers would make low-risk investment decisions and the Irish taxpayer would be protected from any losses. Both Apple and the Government are appealing the original ruling, saying the iPhone maker's tax treatment was in line with Irish and European Union law. "While the Government fundamentally disagrees with the Commission's analysis and is seeking an annulment of that decision, as committed members of the European Union, we have always confirmed that we would recover the alleged state aid," Mr Donohoe said. The Finance Department estimated last year that the total amount could have reached €15 billion including EU interest. Last year the Commission it was also taking Dublin to the European Court of Justice over delays in recovering the money that was due to be recovered in January 2017, four months on from the initial ruling. The Finance Department said today it hoped those proceedings will be withdrawn now that the money has been recovered and the Government was in discussion with the Commission on that matter. The Department also said its appeal had been granted priority status and is progressing through the various stages of private written proceedings before the General Court of the European Union (GCEU), Europe's second highest court. The matter will likely take several years to be settled by the European Courts, it added. "This is the largest State Aid recovery at circa €14.3 billion and one of the largest funds of its kind to be established," Finance Minister Paschal Donohoe said. "It has taken time to establish the infrastructure and legal framework around the escrow fund but this was essential to protect the interests of all parties to the agreement," he added.